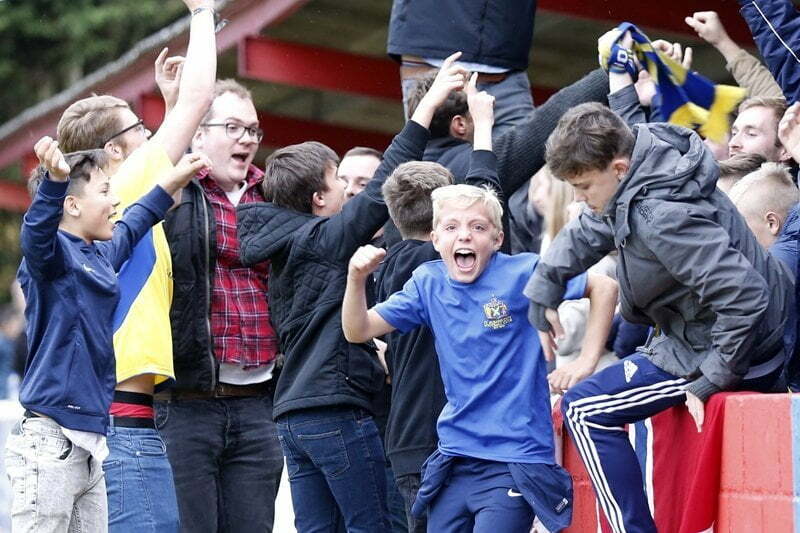 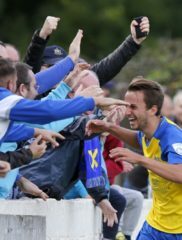 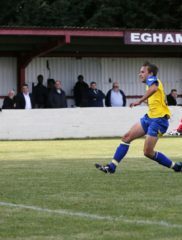 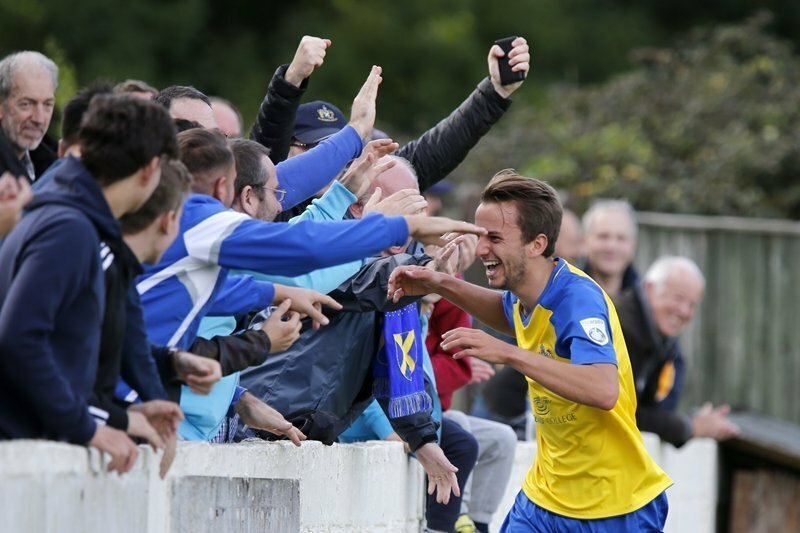 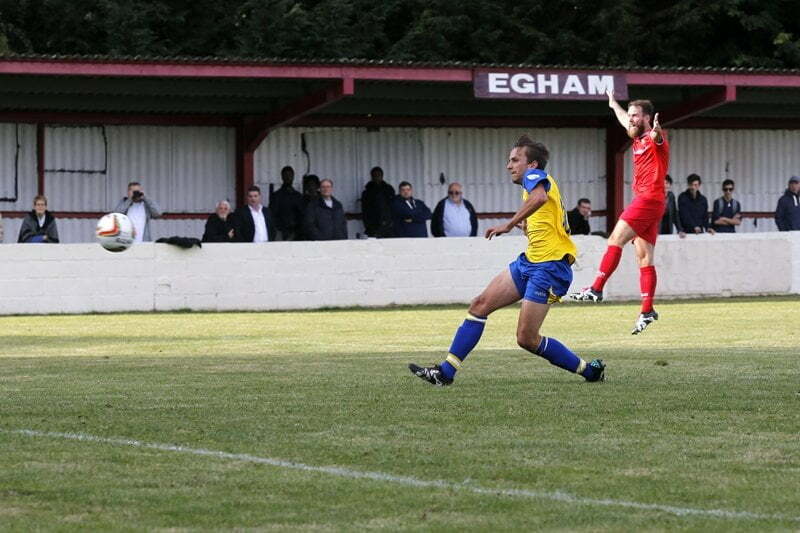 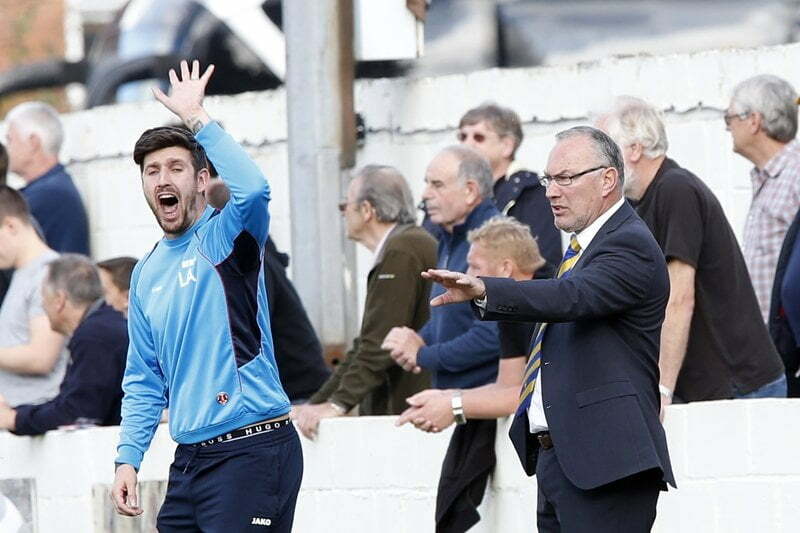 The Saints will be in the 1st Round draw of the Emirates FA Cup after getting a 1-0 win away to Egham Town on Saturday. 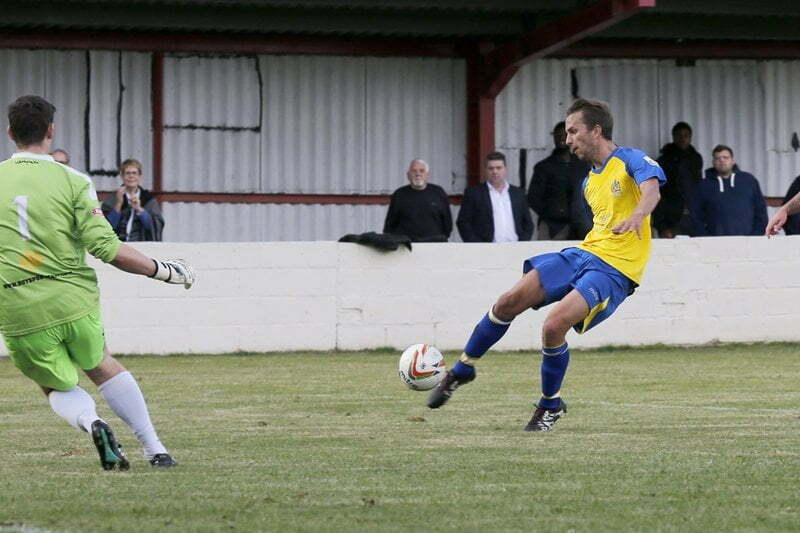 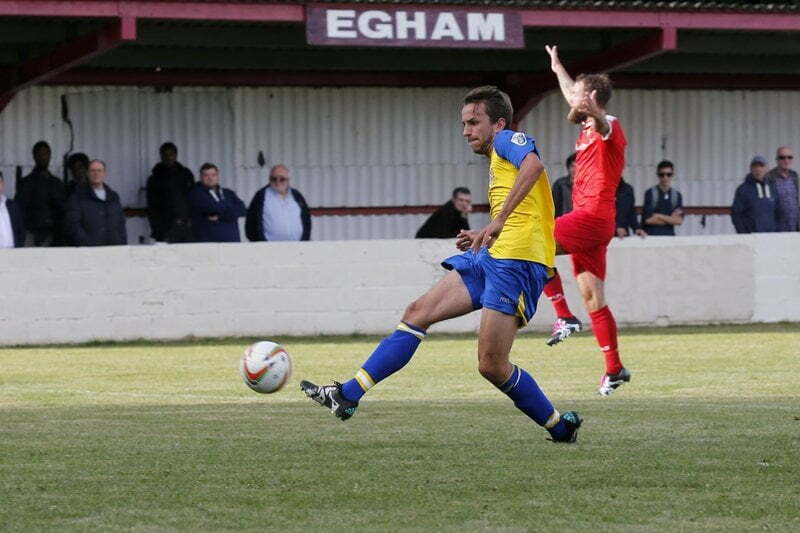 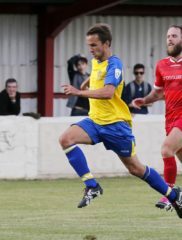 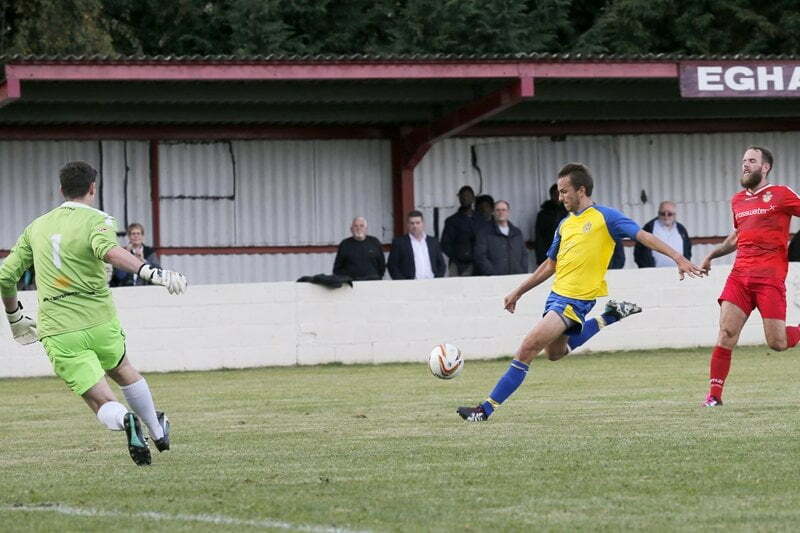 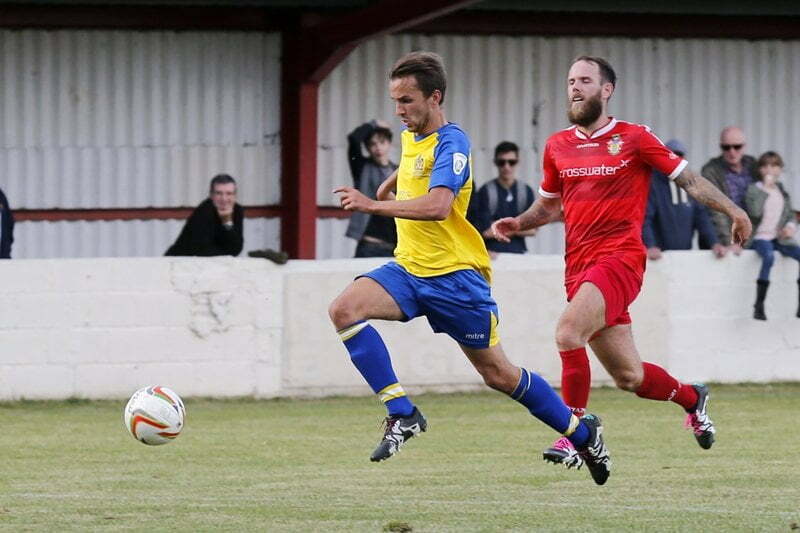 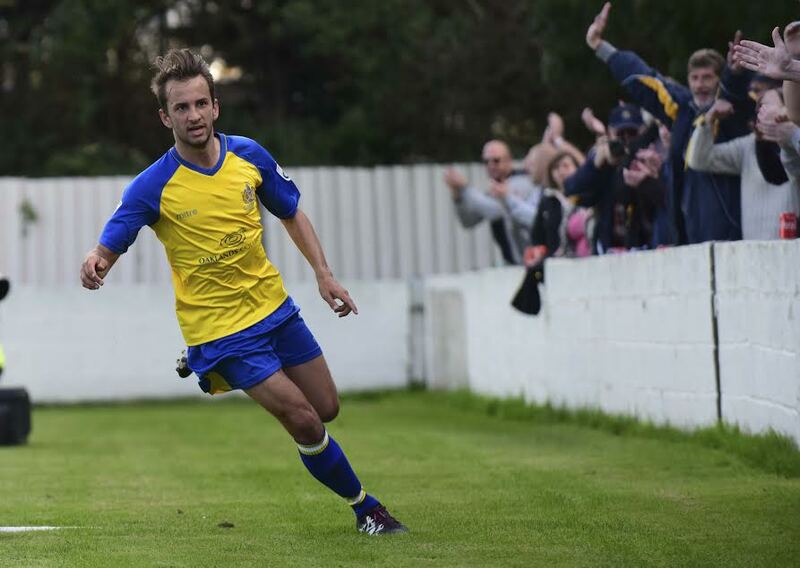 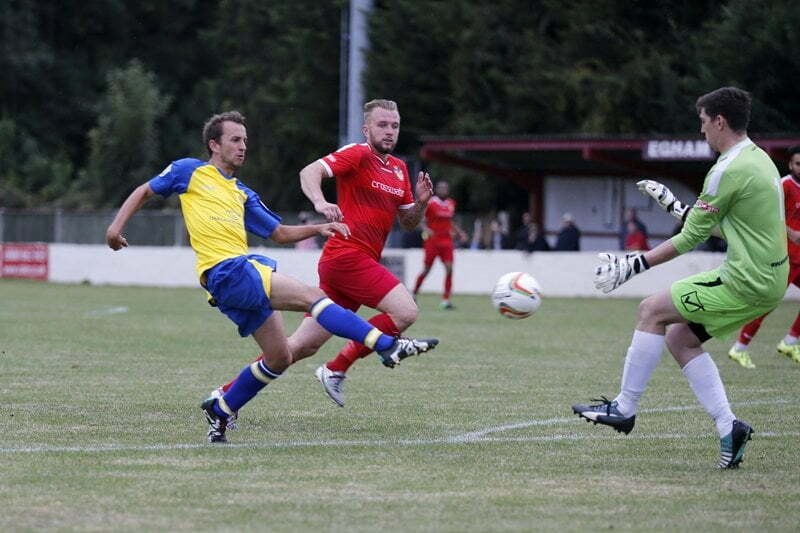 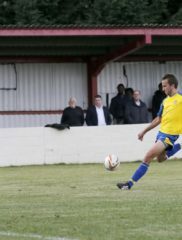 The only goal of the game came in the 29th minute when Sam Merson got his fifth goal in three games. 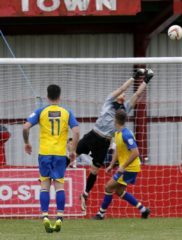 Sam had several chances to add to his goal tally but a combination of some good saves from Egham ‘keeper Norris and a bumpy pitch prevented him from doing so. 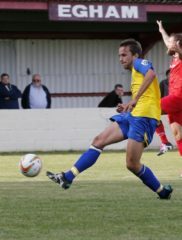 Top scorer Louie Theophanous also had a gilt edged chance in the first half but the ball bobbled unfavourably causing him to slice his shot. 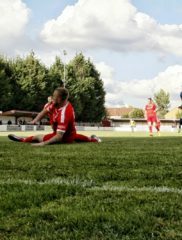 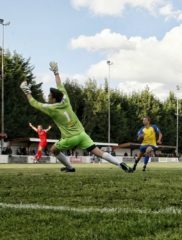 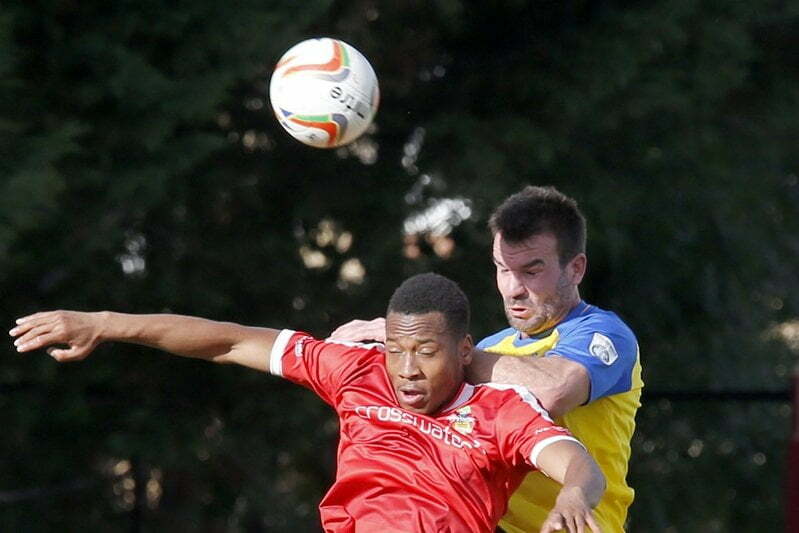 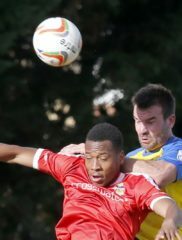 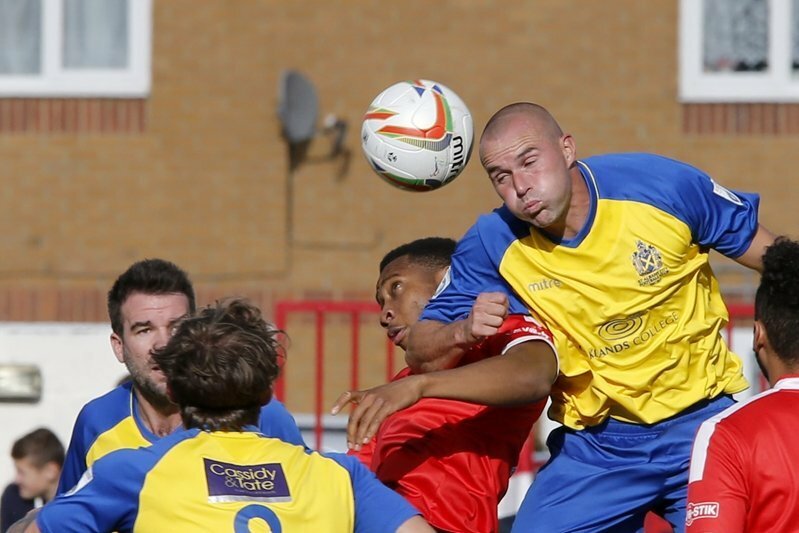 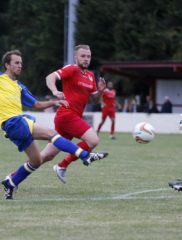 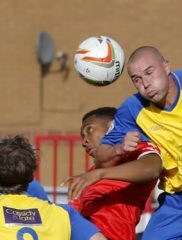 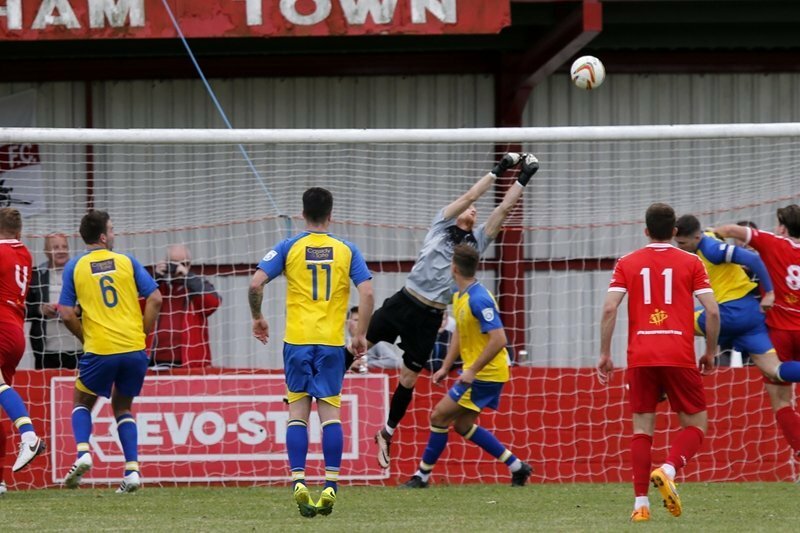 Egham Town pressed the Saints in the second half and James Russell was called upon to make a smart save from a Reece Yorke header. 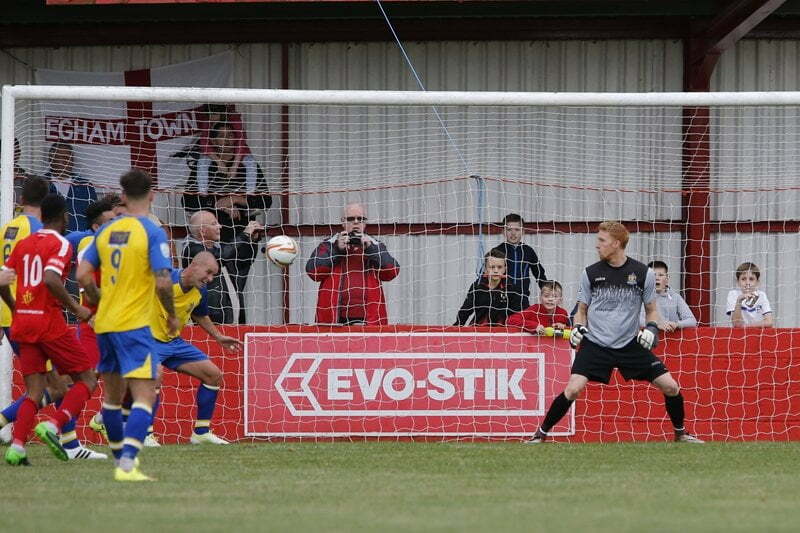 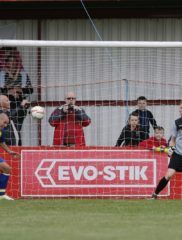 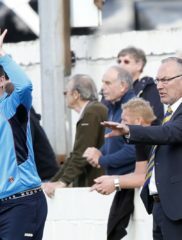 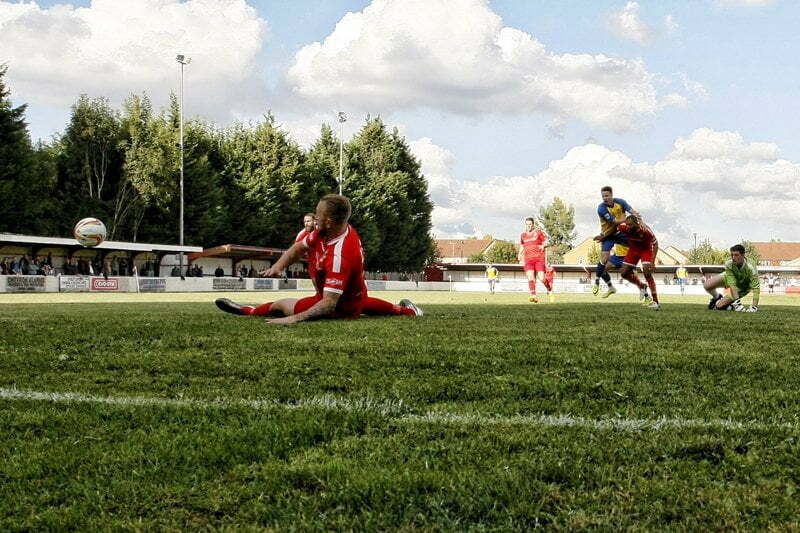 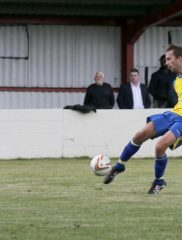 Later in the game, a goal mouth scramble in the Saints penalty area did result in the ball bouncing off the bar but the Saints held on for the vital win. 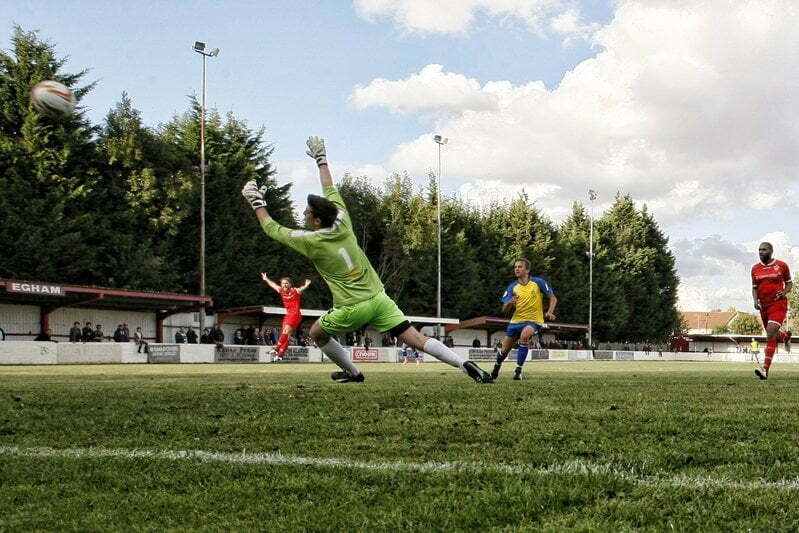 The draw for the 1st Round will take place at 7.10pm and will br broadcast live on BBC2 and BT Sport. 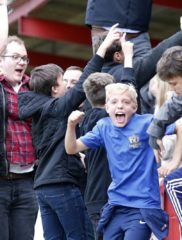 The clubhouse will also be open from 6.00pm for anyone who would like to watch the draw live with supporters and club officials.